Every company has its fair share of positive and negative feedback which depend on the actual experience that clients encounter with them. The same goes for companies in the web hosting industry. iPage is one of the leading providers in quality yet affordable hosting solutions. But it is not without complaints. The great thing about this company, however, is that they do something about these issues in order to provide better services to their clients. You can see it from the way they constantly improve their system to bring out the best in the websites they are hosting. As we reviewed complaints about iPage, we found that most of them were due to the fact that some of their clients failed to read the terms that they agreed with their service. 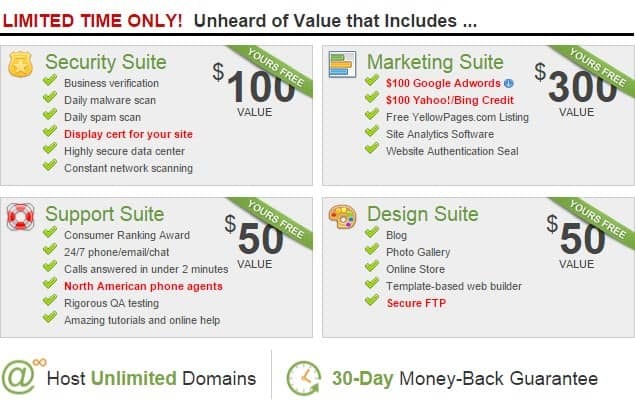 As you can see here, all perks and limitations to iPage’s web hosting plans are stipulated in the contract. The moment you click on “I Accept” during the registration process, iPage automatically assumes that you were able to read through everything and that you agree with the terms and conditions. • Freebies Cancellation. iPage gives you a lot of freebies as a token of gratitude with the registration that you will have with them. These are in the form of advanced features and services that you can use for your website. Take note, however, that these freebies are not given forever. They usually last for only a year, from the time of your subscription. Though it may not last a lifetime, these tokens are already a huge advantage on your part as an iPage account holder. • Coupon Issues. Some iPage members are also faced with coupon issues. They usually call on about additional charges that are reflected on their bills. These things, however, usually happen because some members do not read through the exact inclusions and the terms that lie behind these coupons. • Speed Issues. Slow speed is also a common issue reported by some iPage clients. However, this is not just with iPage, since other web hosting companies also encounter the same problem. What’s more, the cause of the slow speed might not be due to iPage’s server itself. It might be because of other matters like a user’s PC or browser. • Money-Back Guarantee Problems. 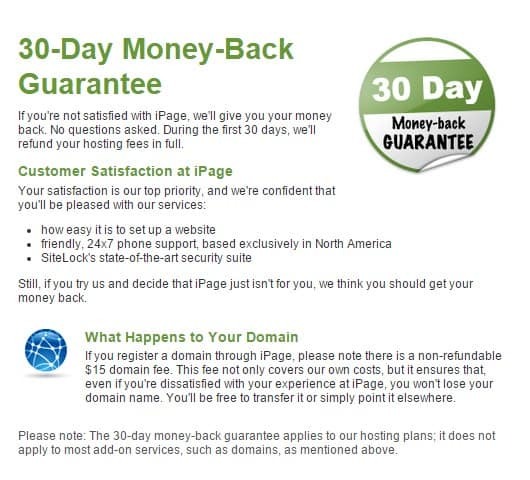 Some iPage members complain of not being able to use the money-back guarantee. Again, this issue mostly comes up because of a member’s lack of attention to iPage’s terms and agreement. • Lacking Features. iPage comes equipped with all the necessary features any web developer needs to start an amazing website. It also comes with a wide variety of additional perks and benefits. However, the more advanced elements that larger websites use may not always be available with iPage. • Freebies Cancellation. iPage provides most of the freebies only for the first year upon registration. This information may have been overlooked by some iPage members, especially those who have not read through the inclusions and limitations. The best solution would still be to read through all the details of iPage’s terms and conditions in order to avoid issues in the future. • Coupon Issues. Make it a habit to read through the fine print to be able to determine the perks that it offers, as well as the corresponding charges and limitations. • Speed Issues. iPage is currently increasing the number of their data centers in order to solve speed issues originating from their system. Also, make it a point to check your PC or web browser because speed problems may not be due to iPage’s system itself. • Money-Back Guarantee Problems. Again, it’s best to read through iPage’s contract and agreement before you decide to sign up with so you can determine its perks and limitations. Doing so will help you avoid or solve issues and miscommunications that may arise in the future. • Lacking Features. iPage is ideal for those who are new to web development, as well as for startups and medium-scale websites. It may not always support highly advanced features as these are mostly used by larger sites. There are 88 security errors in iPage’s current PHP server software. They are using PHP 5.5.2 and the current version is PHP 7.0. Support for 5.5.2 was discontinued in 2016.